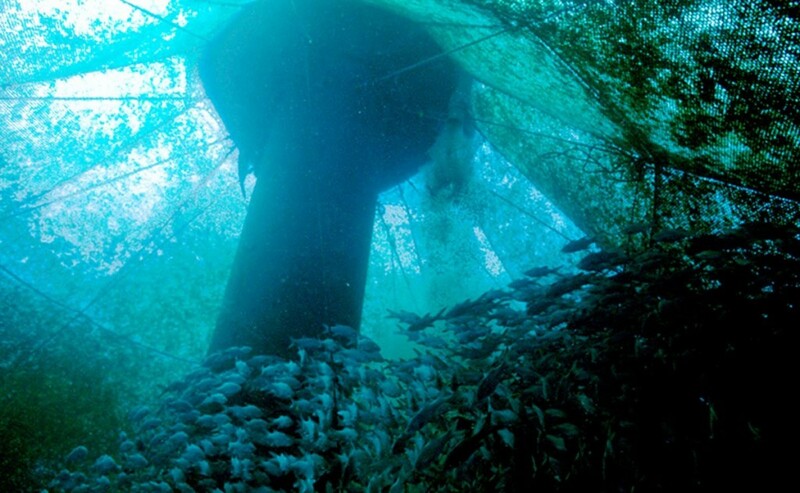 Aquaculture is an increasingly important component of the world food supply. Global capture fisheries are fully, or near fully, exploited, so future increases in seafood demand will require increased aquaculture production. 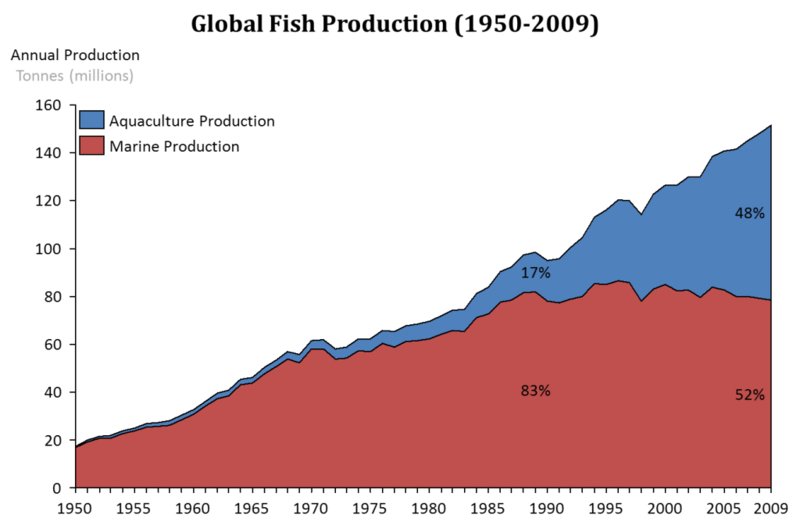 Production has expanded dramatically to meet this demand, but little of this growth has occurred in the United States. 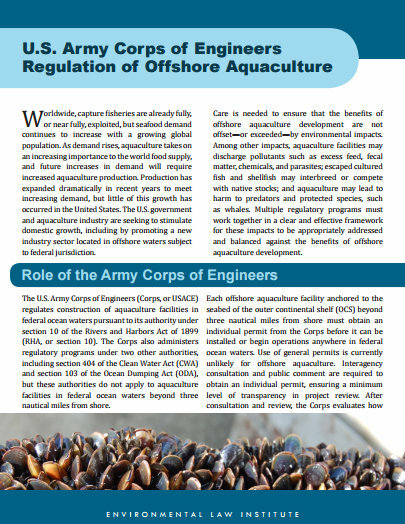 The U.S. government and aquaculture industry are seeking to stimulate domestic growth, including by promoting a new industry sector located in offshore waters subject to federal jurisdiction. escaped cultured organisms that may interbreed or compete with native stocks. 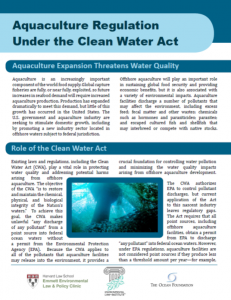 Aquaculture may also result in other impacts, including harm to predators such as whales, birds, and sharks and use of unsustainable feed sources. 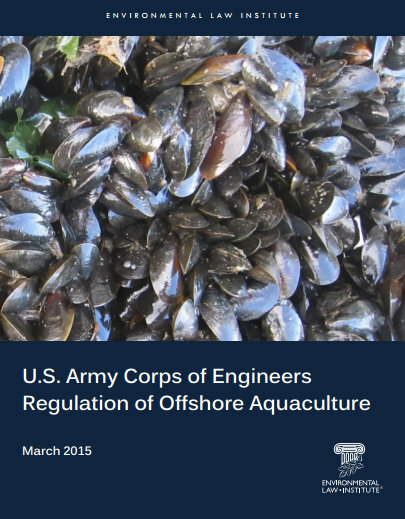 Careful management can avoid or minimize these impacts both for individual facilities and on a cumulative basis and can ensure that offshore aquaculture is not built on damaging or unsustainable practices. 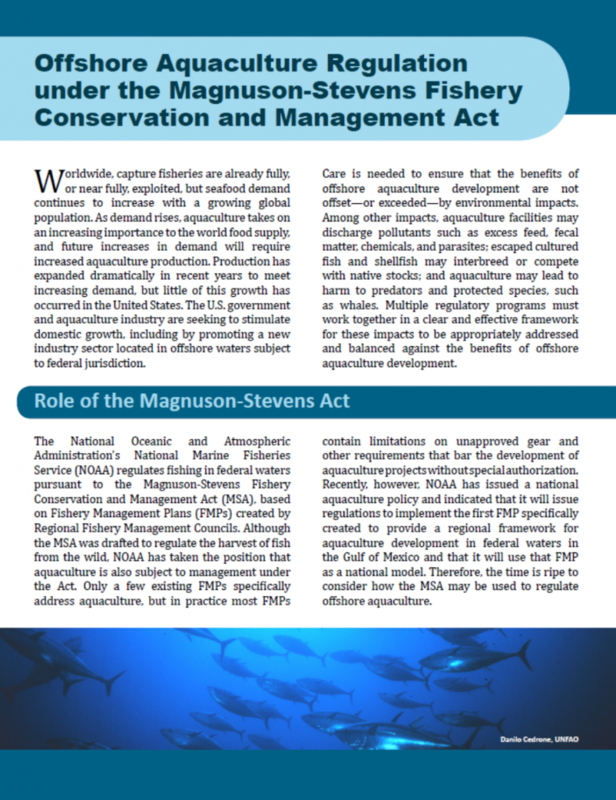 A variety of laws and programs apply to offshore aquaculture, including but not limited to the Clean Water Act, Magnuson-Stevens Fishery Conservation and Management Act, Ocean Dumping Act, Rivers and Harbors Act, Endangered Species Act, Marine Mammal Protection Act, and Migratory Bird Treaty Act. 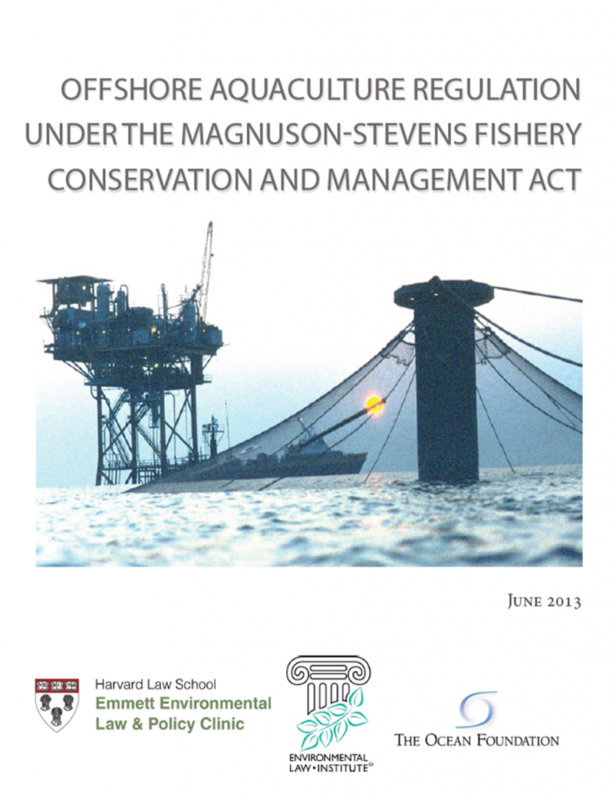 Congress has considered creating a comprehensive regulatory scheme for offshore aquaculture management to clarify and simplify offshore aquaculture governance, but to date consensus has proven difficult to achieve. 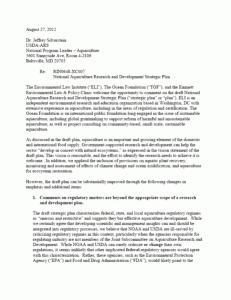 As a result, government agencies, producers, and other stakeholders must navigate a complex regulatory landscape. 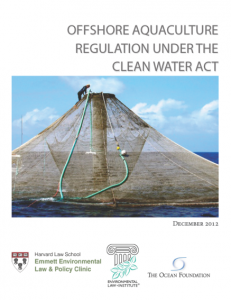 ELI is working in collaboration with partners at Harvard Law School’s Emmett Environmental Law and Policy Clinic and The Ocean Foundation to clarify and improve how aquaculture is managed in United States federal ocean waters.